On Thursday, the Opposition and the Centre argued over Congress vice president Rahul Gandhi's "corrupt" comment on Prime Minister Narnedra Modi. Raj Babbar, the Uttar Pradesh Congress chief, warned Bharatiya Janata Party to take Rahul Gandhi seriously. He sarcastically reminded Prime Minister Modi of auctioning his suit when Rahul Gandhi last spoke. "I want to advise the BJP not to take Rahul Gandhi ji lightly. They should not forget that when Rahul Gandhi ji spoke earlier, Modi ji had to auction his 'suit-boot' clothes," Raj Babbar said, adding, "If I am not wrong, some neighbour of his (Prime Minister Modi) bought the suit. When Rahul Gandhi ji spoke, he made him (Modi) sell his clothes. So be careful before speaking." "If Rahul ji is saying something, they (BJP) should take him seriously and should not deceive the government. The common man should not be deceived. On the other hand, the government is ready to give it back every time the Opposition takes a dig at it," said Babbar. 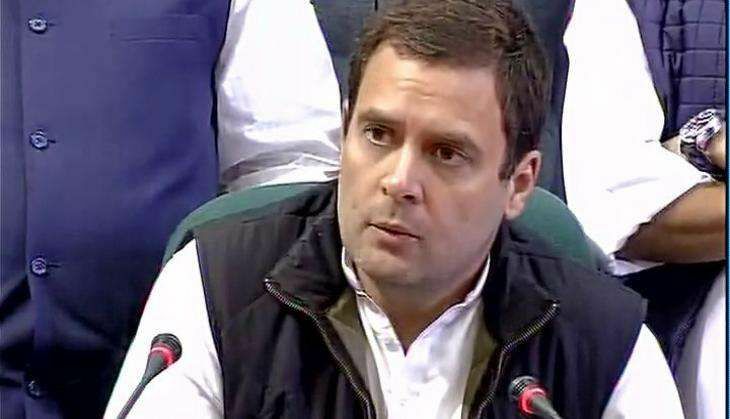 On Wednesday, Rahul Gandhi said Prime Minister Narendra Modi is scared of him as he would reveal all his wrong doings. "I have already said before that the Prime Minister is personally terrified of me being allowed to open my mouth inside the Lok Sabha, because I have information on the PM that is going to explode his balloon," he had said. The Minister of State for Home Affairs, Hansraj Ahir, said, "Nobody takes Rahul Gandhi seriously because he himself is not serious." He added, "Prime Minister Narendra Modi ji is a big strength, not just in the nation, but all across the world. It is not right to come into the limelight by targeting him. I don't this he will succeed in his attempts."